Let's Go To Berlin's Russian Embassy! That's where the latest 2012 Fall Ad Campaign for Salvatore Ferragamo was shot. Photographer Mikael Jansson worked with models Kate Moss and Karmen Pedaru on this beautiful shoot. I really love how Kate's hair is braided and of course the clothes. Even the purple suit looks good. HaHa It MUST be Salvatore Ferragamo. It's a small campaign, but the quality is rich and superb. See, good things do come in small packages! They also included a video for it. I always love that. I've been a bit disappointed in some of the other 2012 Fall Ad Campaigns. Dolce & Gabbana's Fall Ads seemed to be the polar opposite to their summer and spring campaign (beautiful but the same thing, different season) and I wasn't really impressed with Prada's maze ad campaign. 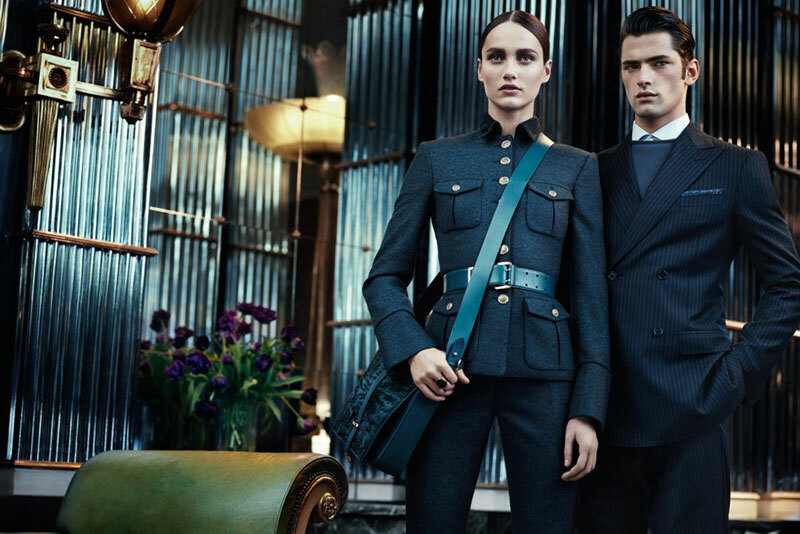 Have you followed the Fall Ad Campaigns? What are your thoughts? Oh my love that dress and the shoes!! I am loving it Kim that dress is gorgeous!! I really don't follow the campaigns but I do enjoy when you post about them. Kate Moss looks amazing here. But then again, she looks pretty incredible in her everyday outfits. She is such an editorial darling! Love her magazine spreads! And want her sandals in the first pic! that very military-ish stark one in the middle is my fave! i rarely see ads anymore because i dont buy many magazines these days. She looks amazing. What a gorgeous campaign! The images are beautiful but I love the setting... Really cool! Such beautiful photos, very miltary-ish/ edgy/dark. Very cool. Wow! I really am loving all the gowns she's wearing. Very classic. I am fascinated by all things Russian, so I loved this photo shoot...the kind of dark glamour and mystery really appeals! I don't follow the ad campaigns, but fortunately, you're awesome enough to share them with us on your blog. I do like the first dress Kate is wearing in this campaign for Ferragamo. She is lovely,like your blog. At first sight I loved these shot, but having seen them again (and I love Kate) I'm not completely wowed by them (for the brand). It's not the strongest campaign she's done - especially that reclining pose, I'd have shot the marketing/ad manager for that even choosing that one. I admit to being a big Kate Moss fan. I think this campaign is lovely. Either Kate is aging very well, or their use of Photoshop was spot on. Looooooooooooooove the clutch from the last picture!!!!!! I am totally loving the fall campaigns right now! There is something about welcoming a new season of inspiration that I just want to embrace. she looks great! i love the shot on the green couch! the clothes are awesome..even the lipcolours are fantastic! lovely shoot! I really love the dress in the first photo, beautiful! This campaign definitely caught my eye cause of the photography and I love the way Kate Moss is styled in it. So ladylike and elegant. I like the hair, too...and the White dress is pretty fabulous! 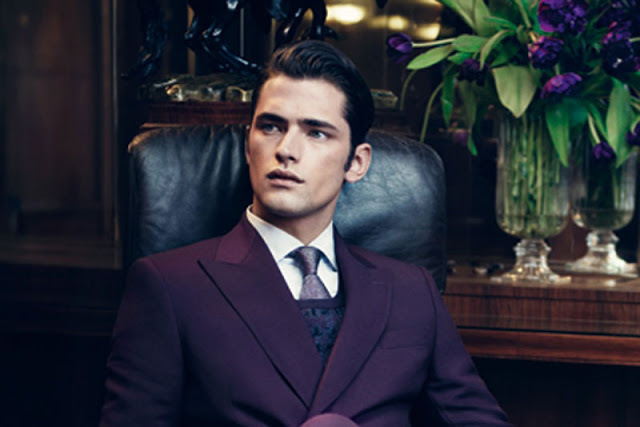 So is the guy behind the purple suit, lol!